We just added recommendations to the page for each tea! To see this feature, go to the page for one of your favorite teas and scroll to the bottom of the page. We hope this can help people discover new teas and also see how our site is structured and organized. Our site recommends teas from the same company if that company is still in operation. For companies that have closed, we show similar teas from other brands or companies. Underneath the recommendations is a link to a page where you can browse listings of teas, making your search broader or more specific depending on what you are looking for. Screenshot of the new recommendations. Find replacements when a favorite is retired! One use for this feature is to find replacement teas when a tea is retired, such as when an individual tea is removed from a company's offerings, or when a company as a whole closes. 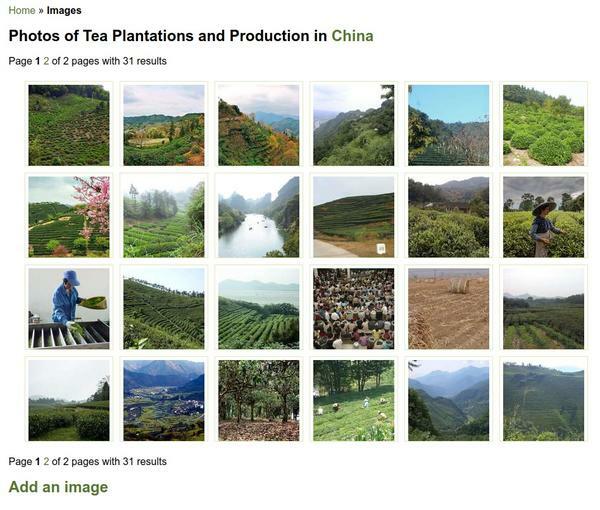 For example, the screenshot on the right shows recommendations for Teavana's Emperor's Clouds and Mist Green Tea. That tea is a Yun Wu (Clouds & Mist) tea, a well-defined style of green tea produced in different parts of China, but people only familiar with Teavana may not know this. 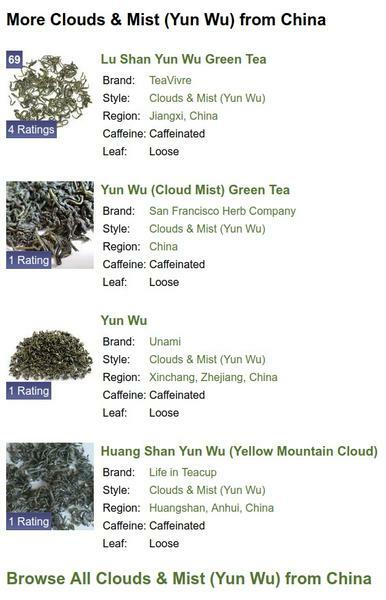 Because tea companies have different naming schemes, with some calling these teas "Yun Wu", others "Clouds & Mist", and others yet different names, it can be hard to get a full or comprehensive listing of companies selling these teas in one place. Our site solves this problem: we have already done the work of classifying these teas. The algorithm shows four examples of closely-related teas, in this case all Yun Wu teas, and below that is a link to browse a complete listing of these teas on our site. Following that link takes you to the full tea-browsing features, which allows you to broaden or narrow your search as you see fit. Companies with large catalogues, such as those selling single-origin teas in limited batches, retire individual teas frequently. In this case, the same-company recommendations may be helpful. 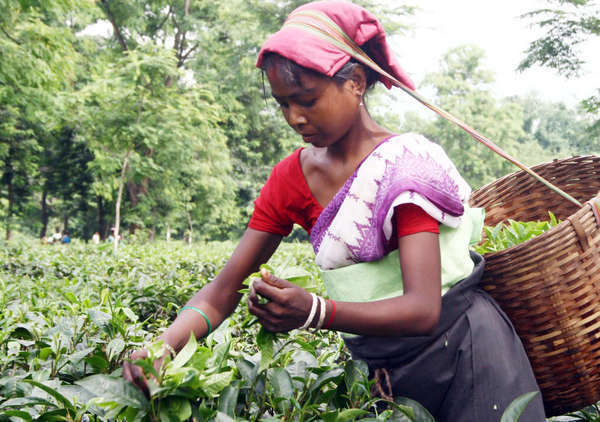 For example, on the page for Upton Tea Imports' Balijan Hi Estate GOF (an Assam black tea), we give recommendations of four different Assams carried by Upton, three from different estates in the same district. If you want to broaden your search to include other companies, just follow the "browse all" link at the bottom of the page; you can then broaden your seach by clicking "show all brands" towards the top of the page! Discover new teas even when a tea is still sold! This feature isn't limited to retired teas; you can use it for any tea on our site! If there is a tea you are particularly fond of, you can locate similar teas from the same company to try out next time you order from them, or you can use the browse features in the link below the recommendations to discover other companies that sell similar teas. 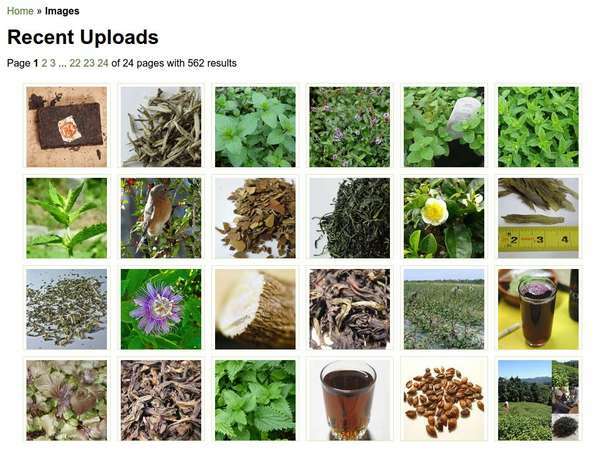 Screenshot of RateTea's Recent Image Uploads Page, Photo © RateTea, CC BY-SA 4.0. When we launched in 2009, our site was pretty minimal and mostly text-based. It looked a lot like Reddit and older, "Web 1.0" review sites. Teas only had small thumbnail images and there were few higher-resolution pictures to be seen anywhere on the site. As the site expanded and we added more features and numerous articles, we still focused mostly on text and factual content. Recently, we have recognized the importance of having larger pictures on the site, so we created photo album software, and began populating the site with pictures of loose-leaf tea, tea bags, packaging, brewed cups of tea, local tea shops, and tea plantations and other aspects of tea production. Where to find the new pics? You can find these pictures throughout the site. 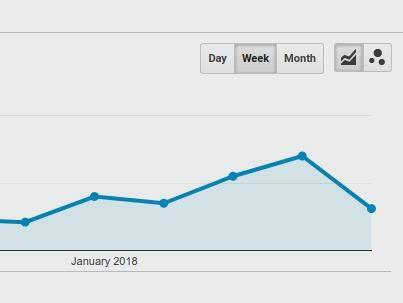 Click on the pictures in articles, and they will now blow up to a larger size, with an additional link on that page to an even higher-resolution version when available. Many pictures have commentary in the captions, so you can learn more about what you're looking at. You can hit the Images tab in the site's header or mobile menu to browse a feed of recently uploaded pics. Or explore regions, navigate to a country and region of your site, and browse pictures. Although there are few such pics listed, the places section of our site, which features local tea shops and cafes serving loose-leaf tea, has some pics of local businesses as well. Many of our pics have been sourced from sites like Flickr and Wikimedia Commons, and from the page from each image you can find the original source and explore other photographs of similar subject material or other works by the same photographer. Do you have photos of something we lack? Upload your pics! Screenshot of RateTea's Photo Gallery of China, Photo © RateTea CC BY-SA 4.0. The page for each tea allows multiple photos to be listed for each tea. If you see a picture only of loose-leaf tea, but you have or can take a picture of the tea's packaging, the brewed cup, or the spent leaves after brewing, you can upload that. Or if you think you can take a particularly artistic or illustrative picture of the loose-leaf, something that looks nicer than what we have already, or something that shows the unique characteristics of that tea, go for it! 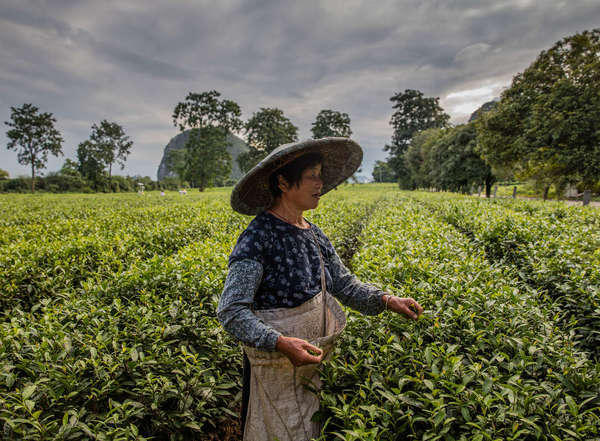 If you live, work, or travel in or near an area of tea production, we also love having pictures of tea plantations, production, and the people involved in it. If you explore the regions section of our site you can find locations and see what pics may be lacking. Right now we are particularly lacking in photos of local tea shops and other local tea businesses, listed in the places section of our site. Look up your local region and see if local tea shops are listed, add them if necessary, and then upload your pictures! After uploading a picture, you can edit the title of the photo, and you can also add a description and written commentary underneath each photo. Tea Picking in Guilin, Guangxi, Photo © Thomas Bächinger, CC BY-SA 2.0. All of the images on our site have copyright notices, crediting the photographer or copyright holder, and the source of the photo when it was taken from an external source. There is a mix of photos with different types of licensing; some photographers have granted permission for us to use pics only on RateTea, whereas others have released their work under broader licenses such as Creative Commons. Some of these licenses may have additional restrictions. A few images which we use only for product thumbnails are used under fair use, and serve only to identify products and/or serve as a basis for comment or criticism. When you upload a pic, if you own the copyright on it, you can choose how to license the pic: you can pick either a creative commons share-alike license (what we recommend, this will allow others to use your work and help it be distributed more widely, while making it illegal for people to use it without credit), or retain full copyright and grant permission only to RateTea. For externally-sourced pics that have been released with other licenses, we have many common licenses available in a list; if you need something added that is not listed, contact us! Some licenses are not compatible wiith our site; for example, without special permission from the copyright holder, we cannot accept pics licensed under "no commercial" licenses because we generate revenue from advertising. If you run a website or blog, feel free to use our database of images as a source to find images, but make sure to only use photos licensed in such a way that it is legal to use them on your site, and make sure to respect the terms of the license. This includes crediting the photographer and copyright holder, naming and linking to the license, and linking to the source of the image, whether on RateTea or an original source if we have taken the image from elsewhere.